Who knows what will land in your inbox next? I had a lovely surprise this week, courtesy of Lucy Dodsworth of On The Luce. Lucy has one of the best travel blogs I know, and always keeps her ear to the ground for what’s going on in the travel world. So it’s no surprise to find that she was the first person to provide a representative photo to display on the Picture the World Project. The Departure Board website have a great initiative to create a gallery of wonderful photos, one from each country in the world. It’s a great honour for me to be nominated to provide a photo from my collection to represent Portugal. I dearly love the country, so hope that I can do it justice. I’ve been through my photo albums a time or two, and have finally settled on this one. 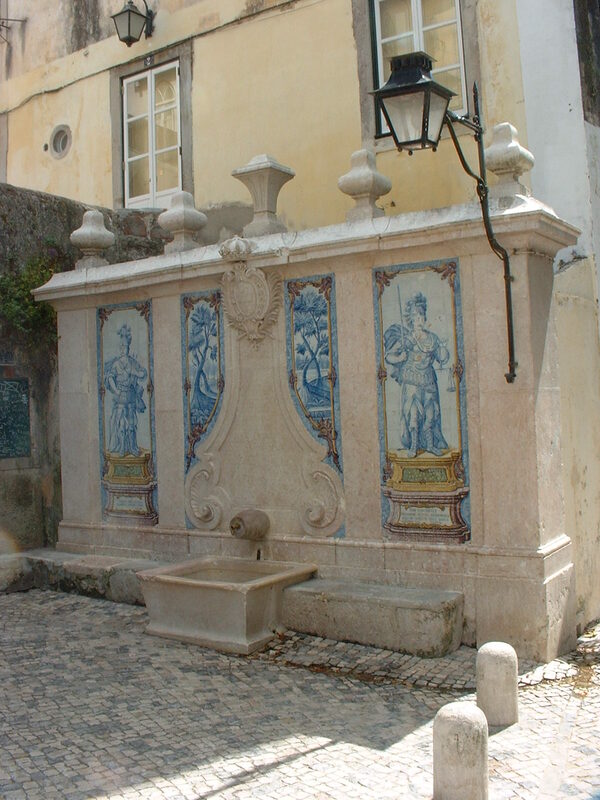 Everywhere in Portugal you can observe these beautiful blue and white azulejo tiles, though seldom used to better effect than in the town gate at Obidos. Most frequently they tell religious stories in churches, Sao Lourenco in the Algarve a stunning example. Railway stations are common places to find them- Sao Bento at Oporto has some of the best known. Sometimes they relate to life at sea, or to agricultural scenes from Portuguese life. Modern homes, too, often have tiled panels displayed, and they are easily obtained from garden centres. (we have two in our patio) It’s a nice tradition to perpetuate. Of course, I considered many other photos, and you might like to see some I rejected. This is my personal favourite, but I discarded it because I felt that this style of housing, designed in part to keep the houses cool, though fabulously decorative, is more representative of the Algarve than of Portugal as a whole. 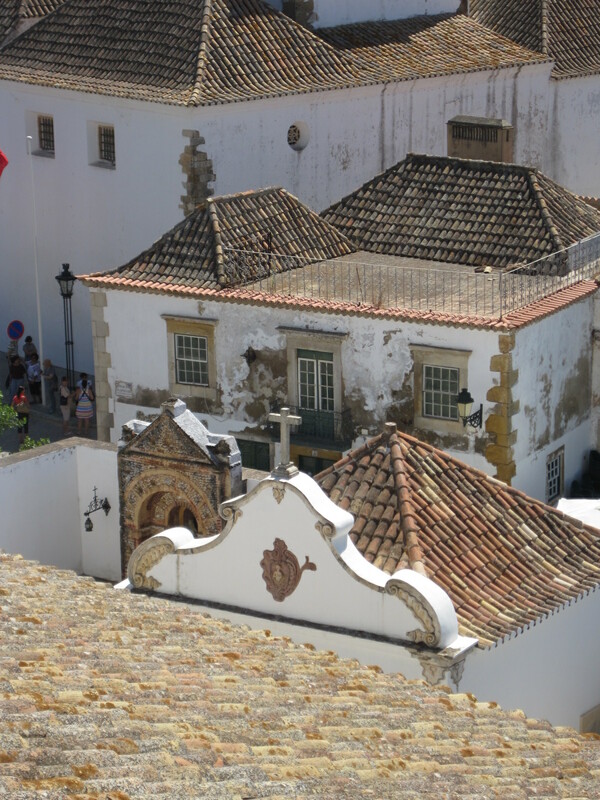 I love this one too, with it’s wonderfully shabby walls and the tessoura roof, but again I felt it more typified the Algarve than Portugal as a whole. 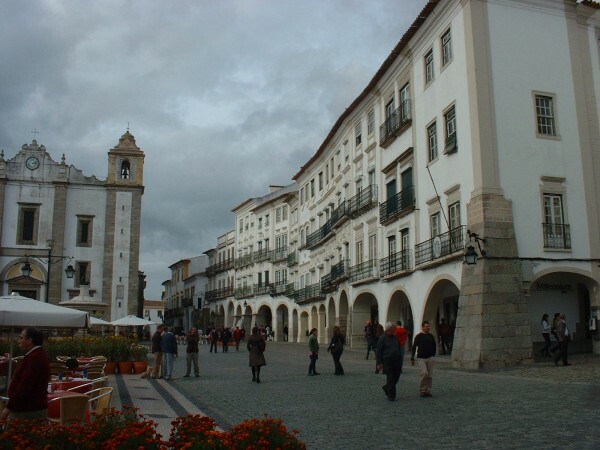 This one focuses on historic Evora, in Portugal’s Alentejo. Cobbled streets are seen everywhere in Portugal, and regularly painstakingly renewed. There’s a beautiful church in the photo. In this religious country even tiny villages have a lovely place of worship. The mix of Moorish and modern architecture is also a common sight in Portugal, nowhere more beguiling than in Evora. 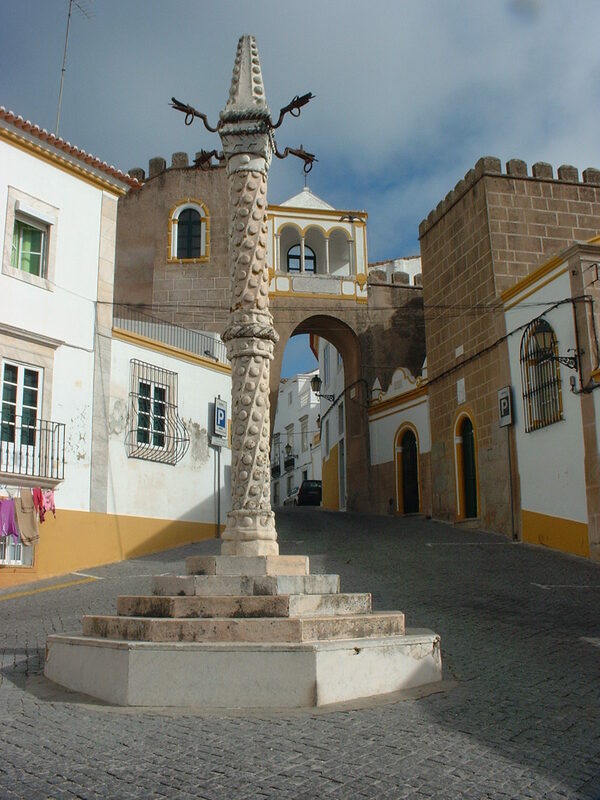 This one in Elvas was a strong contender. It has cobbles, washing hanging in the street, and of course the Moorish connection. 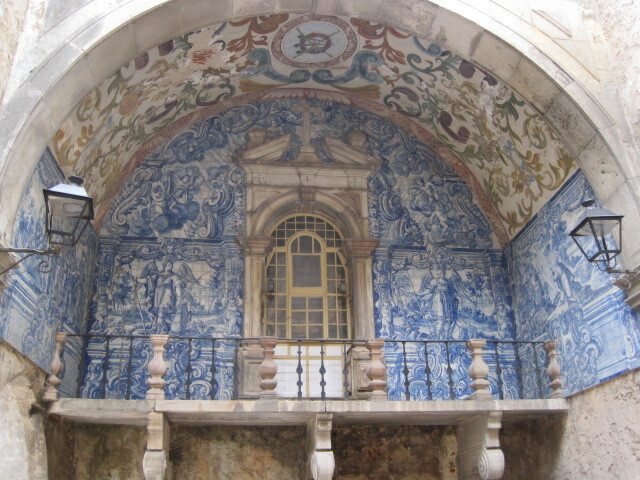 Finally, this one, stumbled upon in Sintra, and again typical of the azulejo panelled features you can find everywhere in Portugal. So what do you think- did I make the right choice? The Departure Board advised me that they prefered Landscape photographs, so that narrowed it down a bit. It’s also my task to nominate two people to submit photos of another country. There are so many to choose from but I’m passing this on to Cathy of A nomad in the land of Nizwa for her wonderful depictions of life in Oman, and to Andrew Petcher of Have Bag, Will Travel as we all know how passionate he is about Greece. If you have a great shot which you think typifies any of the world’s countries, you too can submit your entry to Picture the World. Go on- you know you want to! 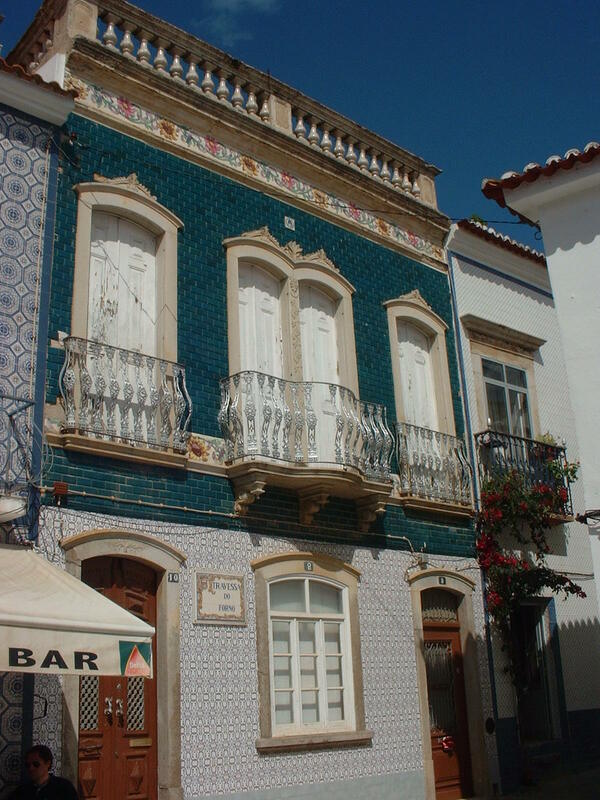 Beautiful architecture, the blue and white azulejo tiles are gorgeous! You made wonderful choices. Thanks Amy. I had so many nice ones to choose from! All your photos are beautiful but I do think you made the right choice…Gorgeous! Thanks Naomi! It’s such a lovely place, it’s no wonder I’ve got so many nice ones to choose from. Such a wonderful place, with beautiful architectural details. Perhaps one day, I get to see something this rich and amazing. It’s always an adventure to see another country’s treasures. Thank for sharing these. It’s my pleasure! You have some beautiful photos too. Perhaps you might like to supply one for the Picture the World Project? It’s building, very slowly. Hi Jo! Here, finally (! ), is my entry for PIcture the World! Hope you like it! I absolutely love it! What a brilliant response to a challenge. Thank you so much! It will look fabulous on the “Board”. Thanks so much Jo! I’m glad you like it!